The School of Design, Office of the Dean Records for the G. Holmes Perkins Administration were transferred to the University Archives from the School of Design. The G. Holmes Perkins Administration Records are organized into two series: Administrative Files, and Academic Files. Both series are arranged alphabetically. 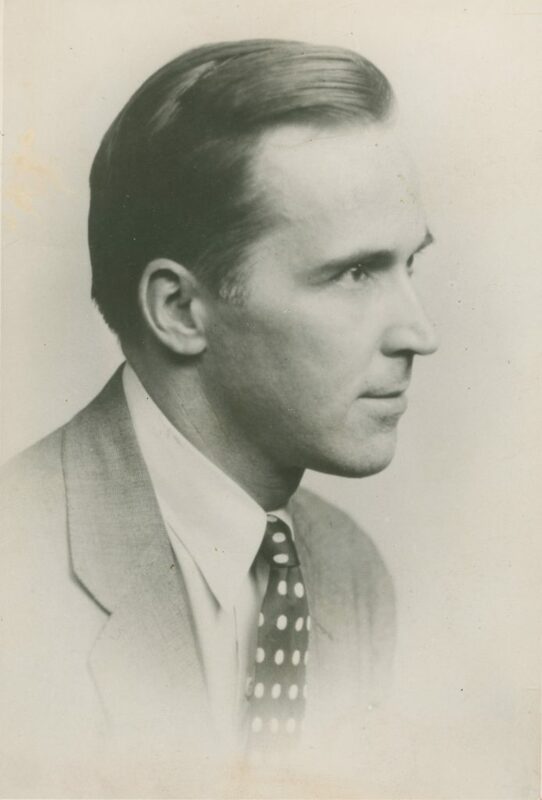 G. Holmes Perkins became Dean of the School of Fine Arts in 1951 succeeding George Simpson Koyl. Perkins was born in Cambrige, MA on October 10, 1904. Educated at Phillips Exeter Academy, he attended Harvard University where he received his A.B. in Chemistry in 1926, and his M. Arch in 1929. Following graduation he taught at the University of Michigan for one year before being offered a teaching position at Harvard. Perkins taught Harvard from 1930 to 1950, during a period of crucial change in architectural education. With the appointment of Joseph Hudnut as dean in 1936, Harvard moved moved away from the Ecole des Beaux-Arts methods (the same taught at Penn) to a more modern European style of architecture. Perkins played a significant role in the changes to the curriculum, as architecture, landscape, and city planning programs were brought together to form the Graduate School of Design. During World War II, Perkins spent three years in Washington D.C. working with the National Housing Authority, serving as acting director of its Urban Development Division during his last year. He returned to Harvard after the war and was appointed the Charles Dyer Norton Professor of Regional Planning and chairman of the planning department. As chair of the department Perkins lead the changes that brought the three design departments together as a collaborative venture. In 1950 the University of Pennsylvania recruited Perkins as dean for the School of Fine Arts. Arriving in 1951 he set about to transform the faculty and curriculum of the school in the same collaborative progressive image he did at Harvard. Among his earliest faculty appointments were Lewis Mumford, Grobert Geddes, Martin Meyerson, Edmund Bacon, Ian McHarg, Louis I. Kahn, and Robert Venturi. Under Perkins leadership a fine arts program was established, research institutes under the City Planning and Architecture departments were created, doctoral programs were approved, and in 1958 the School of Fine Arts became a graduate division. The Institute of Contemporary Art was Perkins’ brainchild, with the goal to expose students to the latest trends in art. Additionally, Perkins founded the Architectural Archives in the late 1970s. He also had a substantial influence on Penn’s campus architecture in the 1960s and 1970s through his participation in the Master Plan for the undergraduate residence “Superblock.” Perkins stepped down as dean in 1971, being succeeded by Peter F. Shepheard. Perkins was appointed Emeritus University Professor of Architecture and Urbanism in 1975. Outside of academia Perkins principle activity was in urban planning. He consulted for the United Nations between 1955 and 1959 for projects in Turkey and India. He served as a design consultant for numerous cities, including Baltimore’s Inner Harbor. Perkins was a key figure in Philadelphia’s post-World War II redevelopment and renewal, serving as a member of the Citizen’s Council on City Planning (1953-1955), president of Philadelphia Housing Association (1954-1955), chairman of the city’s Zoning Advisory Commission (1956-1958), and chairman of the Planning Commission (1958-1968). He was a member of the Philadelphia Development Corporation (1958-1968), Philadelphia Commission on Higher Education (1953-1968), Philadelphia Port Corporation (1964-1968), and the Fairmount Park Art Association (1957-1997). For his work in educational reform and urban planning, Perkins received numerous awards. These included election as Chancellor of the College of Fellows for the American Institute of Architects (1964), an American Institute of Architect Medal (1977), an honorary doctorate from Penn (1972), and a Topaz Medallion – the AIA/ASCA Joint Award for Excellence in Architecture Education (1979). G. Holmes Perkins died on August 25, 2004 at his home in Chestnut Hill, PA at the age of 99. The Records for G. Holmes Perkins tenure as dean of the School of Design reflect the administrative and academic activities of the school from about 1950 to 1965. This includes academic committees, correspondence with University administrators, activities of students and faculty, and involvement with professional organizations. In addition, there are a number of files relating to Holmes’ own professional activities related to city planning – particularly his work with Philadelphia redevelopment in the post-World War 2 era. Researchers should also consult the Office of the Dean, Additional Correspondence Records (UPB 8.41) for additional material related to Perkins tenure. City of Philadelphia. Zoning Advisory Commission. University of Pennsylvania. University Planning. Zoning Advisory Commission – Minutes, Agenda, Etc. Zoning Advisory Commission – Related Material, Etc. Graduate School of Fine Arts. University of Pennsylvania. Graduate School of Fine Arts.